What is going on in northern Nigeria? Because of the lack of official transparency and media access, combined with little or no foreign diplomatic presence and a general atmosphere of terror, rumors flourish. However, there are two broad and contradicting narratives: the official narrative is that the security services (mostly the army) will defeat Boko Haram by December, and the conflicting narrative is of continuing Boko Haram attacks. President Muhammadu Buhari charged that the security services defeat Boko Haram by December. The army maintains that it is on track. The Nigerian military is reporting one success after another. For example, on October 28, the Nigerian army said that it rescued 338 Boko Haram captives. On October 26, Lt. Gen. Tukur Buarati, the Chief of Army Staff and an appointee of President Buhari, made public reference to a “new” brigade deployed in the northeast, though it is not clear whether this is an augmentation of military strength or a redeployment. The Nigerian media reports that in remarks to his soldiers he said, “you are better trained and equipped than the criminals and you have to be professional and responsive. You should have no excuse not to be on patrol, ambush, or raid operations.” He went on to say, “We have to maintain the momentum to achieve Mr. President’s deadline. We must eradicate insurgency and make Nigeria peaceful.” The military consistently maintains that Boko Haram no longer occupies any territory. The alternative narrative starts with ongoing Boko Haram terrorism. The U.S. Department of State on October 27, condemned attacks on October 23 and October 24 in Yola which left at least sixty-one dead. Agence France Presse tallies 170 people killed thus far in October and more than 1,420 since President Buhari’s inauguration. Boko Haram’s area of operations appears to be spreading. There have been recent attacks in Abuja and in Kogi state, not where Boko Haram usually operates. The security services claim to have arrested a Boko Haram cell in Lagos. If true, that would indicate that Boko Haram is trying to build a capacity to operate in Africa’s largest city. Contrary to security service statements, Borno state governor Kashim Shettima on October 26, said that Boko Haram occupies two local government areas in his state, Abbam and Mobar, and partially controls a third, Marte. He also said that in the past, Boko Haram had “overrun” twenty of the twenty-seven local government areas in the state. Boko Haram continues to evolve. At present, it makes extensive and lethal use of suicide bombers. 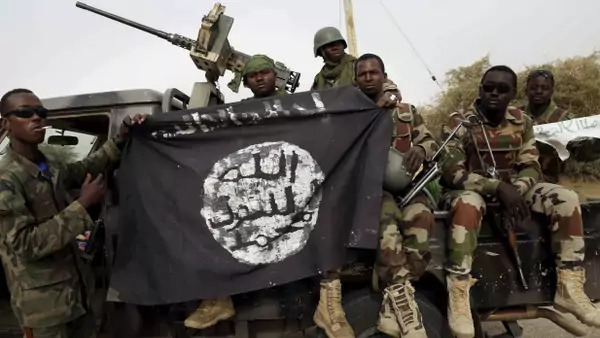 Given evidence of a widening area of operations as well as Governor Shettima’s statement, it is possible that Boko Haram may be returning to a strategy of occupying territory. What is the bottom line? Since 2011 there have been so many lies and prevarications from the security services that their statements have little credibility. On the other hand, the Chief of Army Staff is new, and the Buhari presidency is committed to the defeat of Boko Haram. Nevertheless, far from fading, Boko Haram appears to be as aggressive as ever. Two months before the end of 2015, it is hard to see how the security services can meet President Buhari’s deadline for the destruction of Boko Haram.